The magician holds a white silk in his hand. 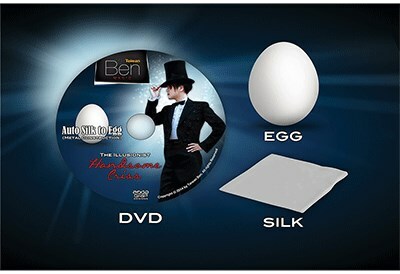 In a flash it changes into an egg! The egg is cracked over a glass proving that it is the real thing.